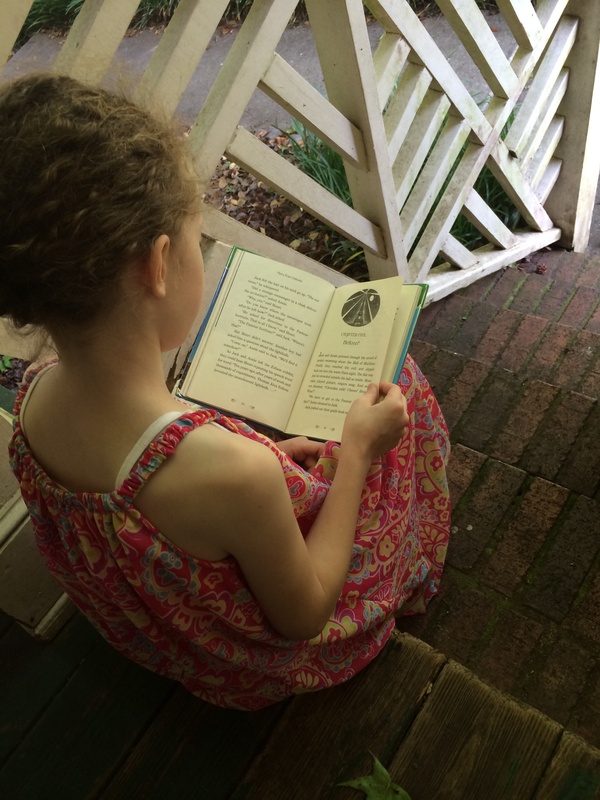 One of my most fervent hopes for my children is that they grow into enthusiastic readers. A couple years ago, when we were struggling through blending and painfully making our way through the repetitive BOB books, I thought for a while it might never happen. But something finally clicked with each of the girls and soon they couldn’t be slowed down. One of my girls particularly races through books at a pace that challenges the library’s young reader section. As we wrap up our homeschooling year in a couple weeks, I’m looking forward to reading more books with my girls. Even though they are strong independent readers, there is still something magical about reading aloud together. I look forward to introducing them to some of my favorites like “Pride & Prejudice” and “Anne of Green Gables” with an almost giddy anticipation. Revisiting your childhood’s joys with your own children has to be one of God’s sweetest gifts to parents. Right now, we are reading the Five Little Peppers and it’s bringing up some very helpful conversations about entitlement in our family. 1. 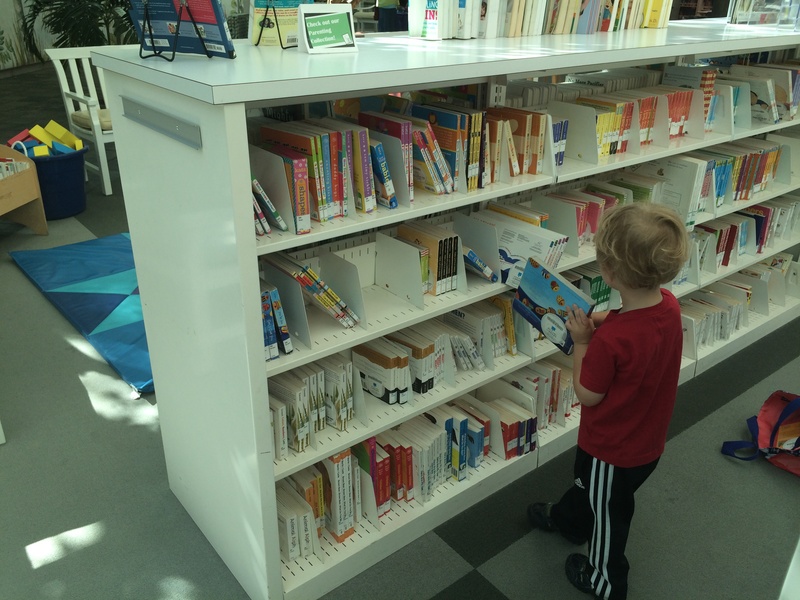 Visit the library weekly and check out an abundance of books. Don’t give up, even if your kids don’t show much interest. Don’t forget to show them that YOU read too (blogs and Facebook do not count). 2. Do some research into your child’s favorite toy, movie, character or subject. Whether it’s Minecraft, cupcakes, kittens, or hula hooping, chances are, you will find a book or series that will spark their interest. 3. Keep books in the car. I sometimes regret that our minivan didn’t come equipped with a TV, but my children can get in a lot of reading in the car just from riding around town during our typical week. 4. Go media-free. Having a TV and video game free week, month or summer may be exactly what your child needs to finally embrace books. We have done this a couple times and it always helps us center our attitudes and hearts, as well as free up time for more productive hobbies like reading. 5. Discover audio books. The library has a good collection of audio books for adults and kids, as well as downloadable content. There is also Amazon’s sister store, Audible.com, although I confess it intimidates me. Whether you choose classic literature or a Magic Treehouse book, audio books can help your children connect to the stories in a way that reading might not have. 6. Throw a book party. This might take a little more preparation, but why not plan a book-themed evening with food and games related to a story or series? This could be elaborate as a Cat in the Hat dinner party or as simple as a Tom Sawyer picnic. As a kick-off to a delightful, book-filled summer, don’t miss Storyfest 2015! State Museum and Library will host this free event on Saturday, June 6th from 9-4. The event will include crafts, presentations, face painting and more. Find more information here. Happy Reading! 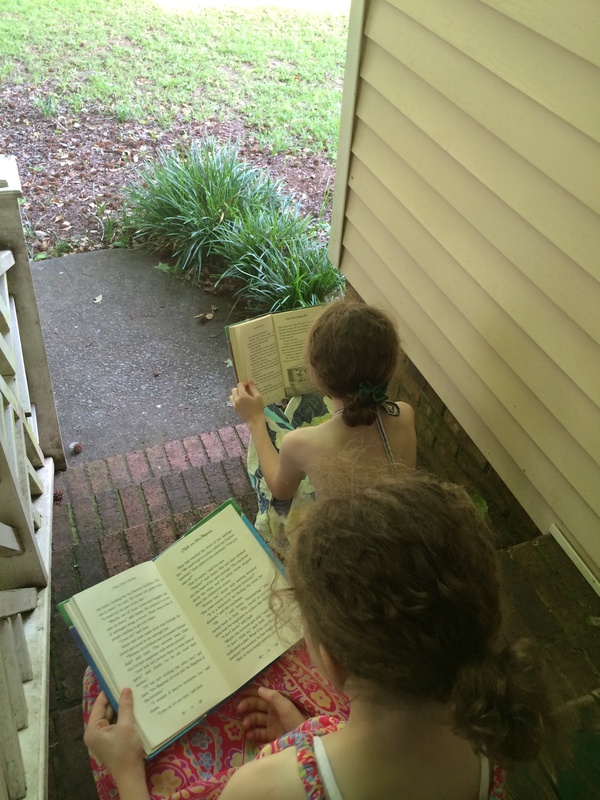 This entry was posted in Family, Leah Prescott, Parenting and tagged encourage love of books, every woman blog, kids, Leah Prescott, lexington medical center., Midlands, reading, South Carolina, StoryFest 2015 by lexingtonmedicalcenter. Bookmark the permalink. Great ideas Leah! We are in that stage of struggling through beginner readers and your post encouraged me. My 6 yo loves to be read TO but it’s like pulling teeth to get him to read. We read a lot together and have gone through numerous classics, like Charlotte’s Web and Swiss Family Robinson–which he loved. Thanks again!